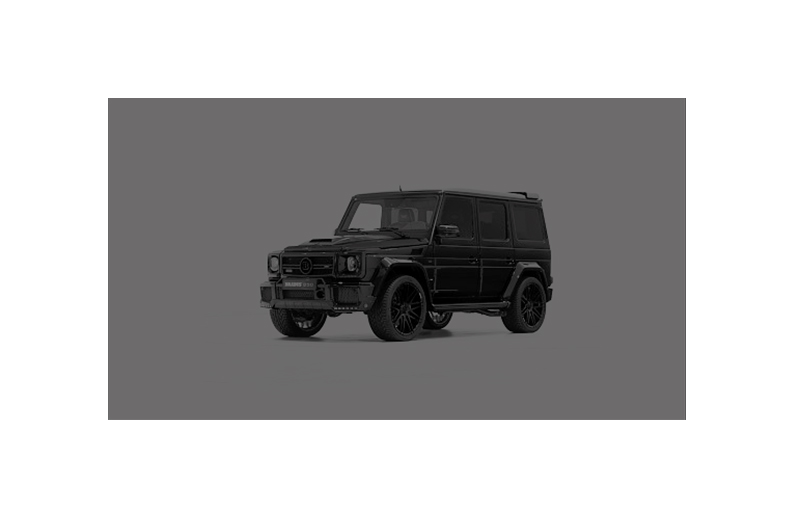 Aiming at providing you the ultimate luxury and the highest security at the same time, we have customised the unique Mercedes BENZ SUV G63 850. The customizations and modifications by Brabus are not an arbitrary choice. In our effort to guarantee you that this top line model is just the cornerstone of our expanding fleet, we are inviting you to meet the experience. The engineering specialists at Mercedes Benz have made sure that the whole transportation experience will be as comfortable, safe, private, and exceptional as possible. Thus we are welcoming you, a true seeker of exclusiveness and uniqueness, into the discovery of this whole new world in automobiles. Indulge into your inner desire. The unique design of Mercedes Benz SUV G63 850 guarantees you a safe and luxury drive all over Greece. Having created a great combination of exceptional technical characteristics and interior environment, we drive you to your desired destination with style. Addressing to those willing to taste the true feelings of fulfillment and privacy, we invite you to a trial. You have the opportunity to feel the privacy, by having a ride with your own licensed and qualified driver.
" All listed performance figures are approximate values. They depend on vehicle-specific details such as the vehicle type, equipment, tare weight, rear-axle ratio, wheel-tyre combinations, transmission type and aerodynamic equipment of the specific car. Figures about performance increases and/or performance kits are to be understood as average values. Test-dependent divergences of +/- 5% are possible. Figures about the overall performance of changed factory engines through performance increases and/or performance kits are based on the manufacturer's data listed in the vehicle regristration document. They can vary by +/- 5%. BRABUS does not warrant any further reduced performance of factory engines. Specifications are subject to change without prior notice. These values were determined using the prescribed measurement procedure (directive 80/1268/EEC in its currently valid version). " Designed to offer you the ultimate power, our technicians have reassured that you will accomplish that feeling with the unique engineering design of Mercedes M. “Jolt” to the dream and sense the original, ”Mercedes class” luxury. Combining the smartness that black color evokes and sensing minimalism at its top, the customizations offered by Brabus realize the feeling of superiority and smartness, which are indeed felt, while being on a drive! You have the chance to make a choice (cut phrase) Starting today you have the opportunity of booking the exclusive Mercedes Benz SUV G63 850. A myth to become true, offering you a private and totally secure. There is a great flexibility offered on renting the car on demand, according to your vacation plan, necessities and wishes. There is always a licensed, qualified driver available to guide you through that magnificent experience. The process being as simple and smart as the vehicle itself, you have such amenities as a pick up and drop off process by your own private driver. The legendary and sophisticated Mercedes Benz SUV G63 850 welcomes you to try first its high worthy qualities. Here, extravagance meets perfectionism.